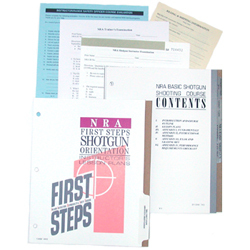 The NRA Instructor Basic Shotgun course is what is referred to as a discipline course. You must have completed and passed the NRA Basic Instructor Training (BIT) prior to taking a discipline. Upon completion of this discipline the Instructor candidate will be able to conduct and instruct two NRA firearm course disciplines and with FIRST Steps could be as many as five different courses. The NRA Instructor Basic Shotgun course teaches the basic knowledge, skills, and attitude for owning and operating a Shotgun safely.